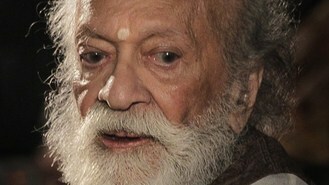 The prime minister's office confirmed Shankar's death and called him a "national treasure". Shankar helped millions of classical, jazz and rock lovers in the West discover the centuries-old traditions of Indian music over an eight-decade career. He was a hippie musical icon of the 1960s who played Woodstock and rubbed shoulders with The Beatles. George Harrison labelled him "the godfather of world music". Shankar collaborated with Harrison, violinist Yehudi Menuhin and jazz saxophonist John Coltrane as he worked to bridge the musical gap between West and East.